The expression "fighting like cats and dogs" is not without basis. But they can peacefully coexist. 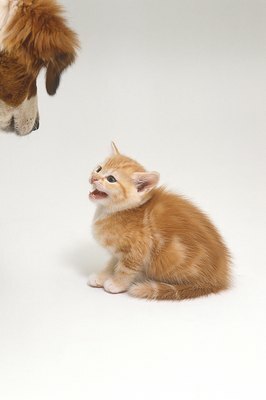 Carrie Lisa, owner of Walk and Wag, a Los Angeles-based dog-walking and pet-sitting business, offers some tips on how you can negotiate a smooth introduction between man's best friend and your favorite furry feline. The most important thing in these situations is to know your animal's personality and natural disposition. "If you have a huge dog, then a small cat mostly will run away from it," explained Lisa. 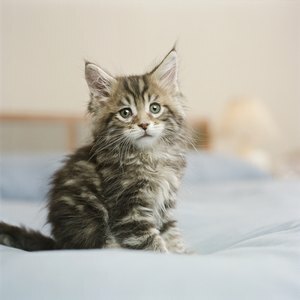 "In that situation you'd want to maybe get a cat that's older and more confident. Conversely, if you have a very calm and chill cat, you could get a dog that's also very calm. You want to match the energy level of the existing pet." 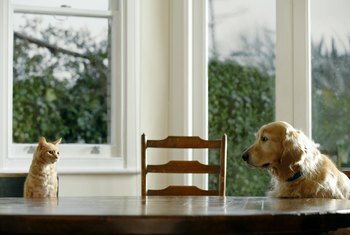 If you're bringing a new pet home, keep your existing pet in a separate part of the house. You want the cat and dog to be able to smell each other but not be in direct contact for the initial introduction. "You don't want the existing pet to feel like they are being forced out of areas that they are usually allowed to go," said Lisa, "but at the same time, you want to give the new pet the opportunity to explore the house safely." 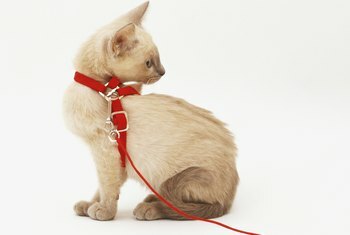 If the dog and cat are meeting on mutually new territory where there are no pre-existing animals scents -- a new house where neither has ever been, a park or the beach -- make sure the dog is leashed and the cat is in a harness. "You should never let a dog and a cat just freely meet each other," Lisa said. "You always want to make sure you can safely remove either one of them in case there's any conflict." 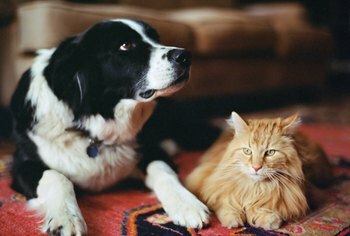 Make sure to give your cat or dog space if it exhibits visible discomfort, aggression or anxiety. If a dog's tail is down, pointing straight out or tucked under, it feels threatened. Fear can always turn to aggression. "If your cat is hissing or your dog is obsessively barking, then you need to remove the aggressive animal from the situation," Lisa said. "You need to make sure you've got control over your animal should the need arise." 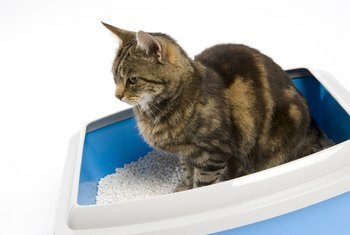 If you're bringing a new cat into the home, make sure to keep its litter box in a place where the dog can't reach it. "Sometimes dogs will stalk cats when they're at their litter boxes," noted Lisa, "which can cause issues with the cat using it. If the cat is scared because the dog is torturing him, he won't want to go to the bathroom." Same goes with food. Cats climb, so keep his food higher up. 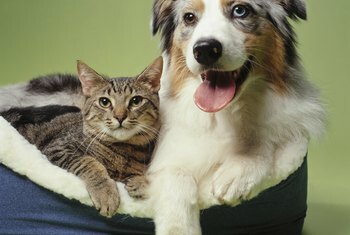 If things are going well between cat and dog, consider giving your dog a treat to reinforce good behavior. "Dogs are a bit easier to lure one way or the other with treats," said Lisa. "Some cats respond to treats, but they are less likely to eat if they are stressed out about something." 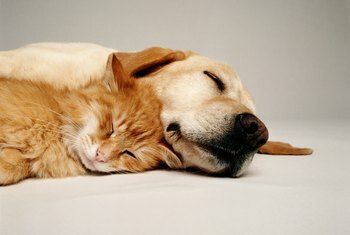 Do not leave a dog and cat alone and unsupervised until you are confident that they get along. "You can rotate leaving your cat in one room and your dog in the other when you're not at home," suggested Lisa. "Do this for at least a week. So long as there is no aggression on either side, you can start leaving them at home alone. You do not want to come home to a scene." Patience, noted Lisa, is of the utmost importance when introducing a dog to a cat. "You should do a controlled 'introduced' between the two animals over and over again," she said. "It's a process. In the beginning it's going to be an adjustment for both animals, so make sure to be aware of any changes on the either animal's eating habits or bathroom routines. When things seem to fall into a normal routine, than they can be alone in the same place."